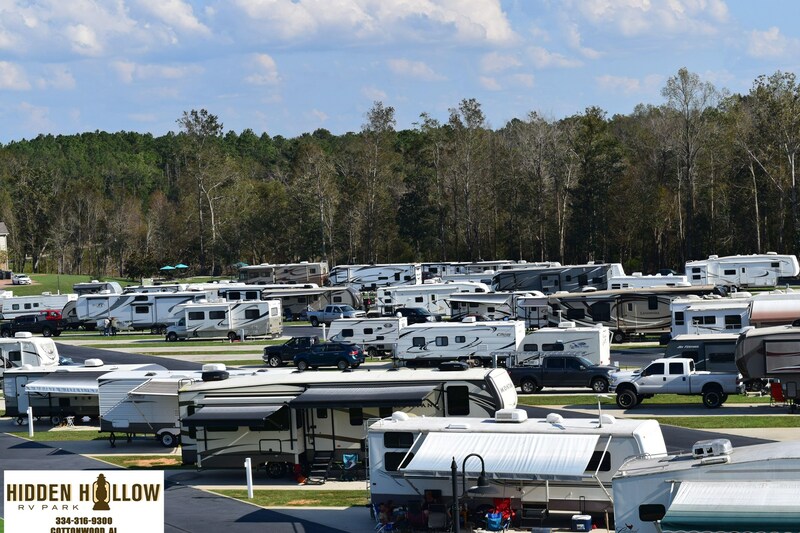 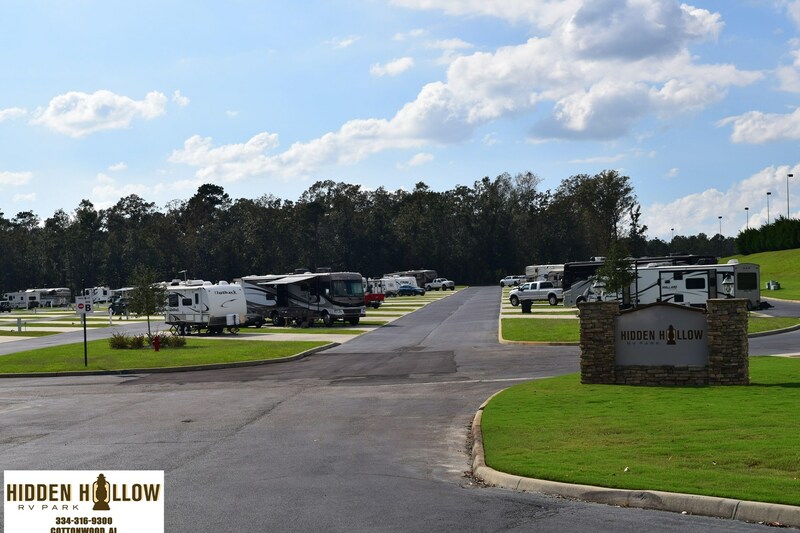 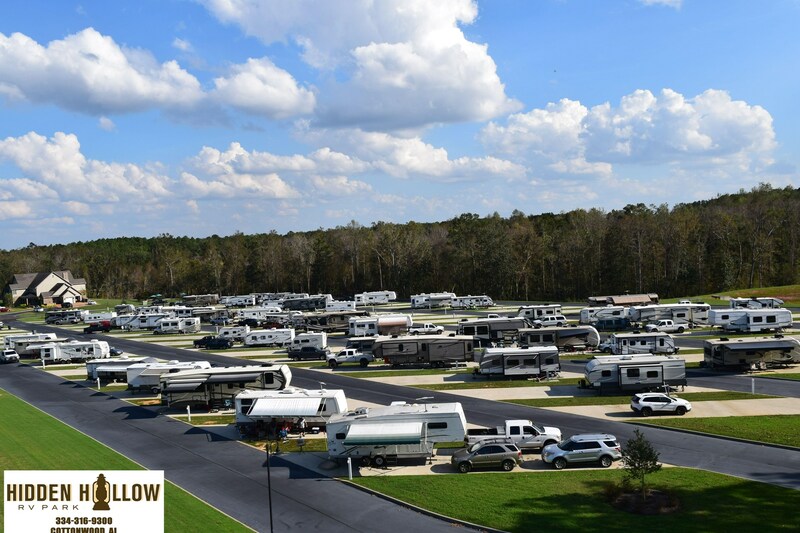 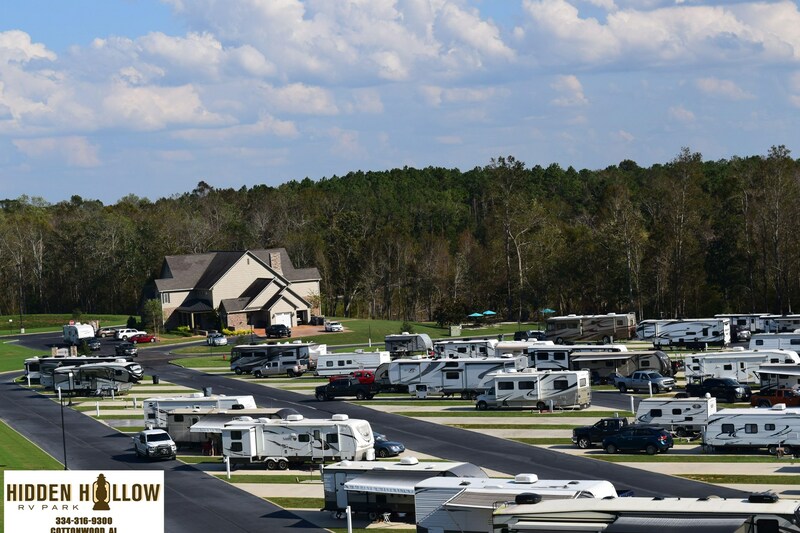 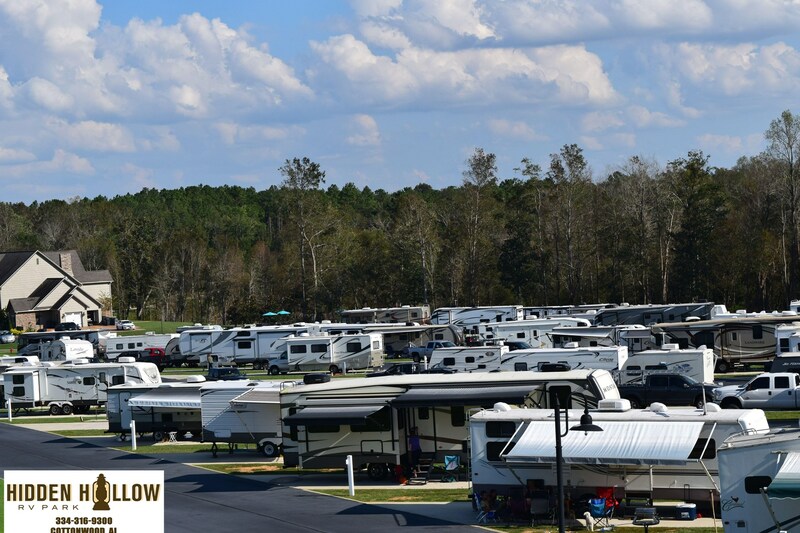 For intimate RV Camping with southern charm, visit Hidden Hollow RV Park on the South Eastern tip of Alabama for a world-class relaxing getaway. 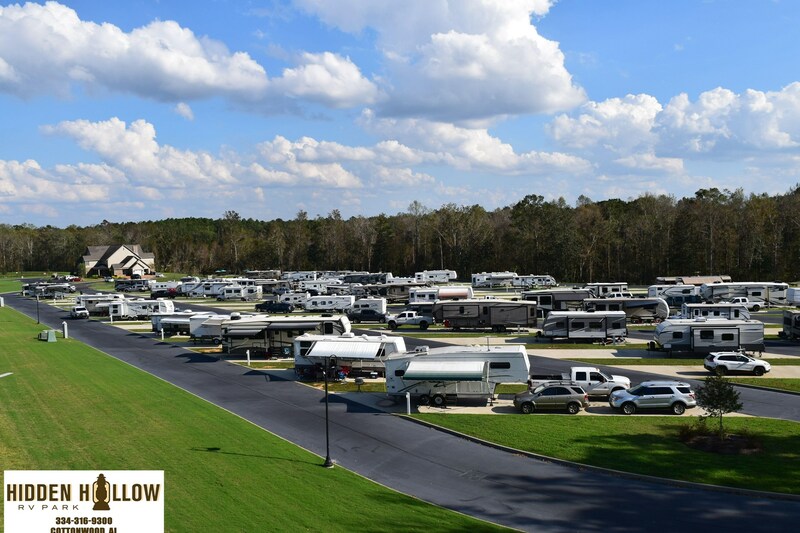 The Hidden Hollow RV Park is located adjacent to the Magnolia Creek Lodge and consists of 78 spaces. 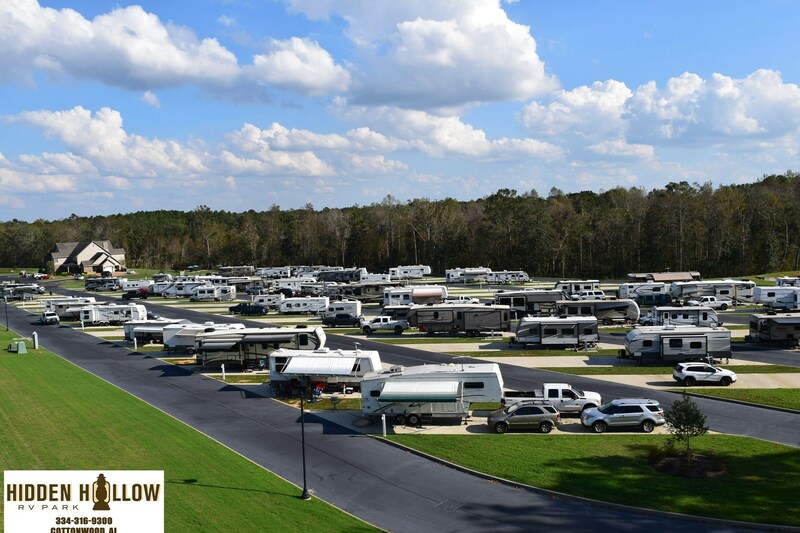 Each space is pull through at 70 feet long by 17 feet wide to accommodate the largest RV's and towed secondary vehicles or trailers. 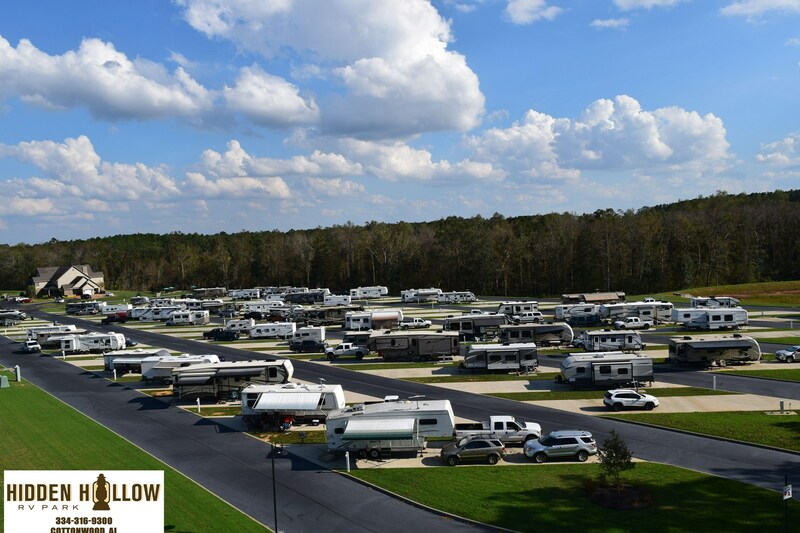 Each space has a 30/50 amp electrical hookup, water, and sewer. 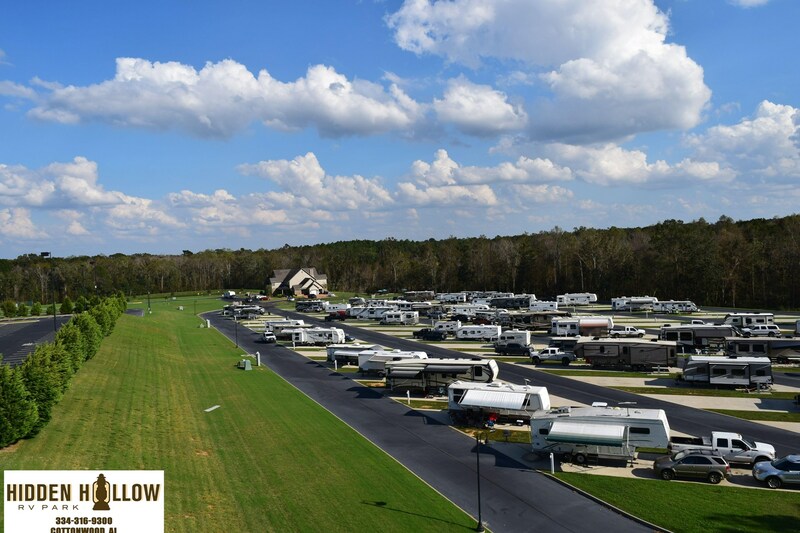 Wi-Fi is available throughout the park. 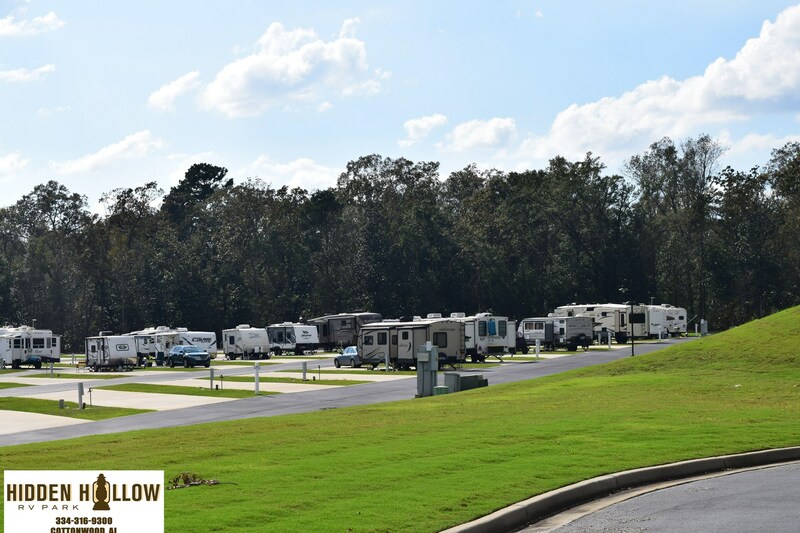 Check-in and check-out are at the Magnolia Creek Lodge. 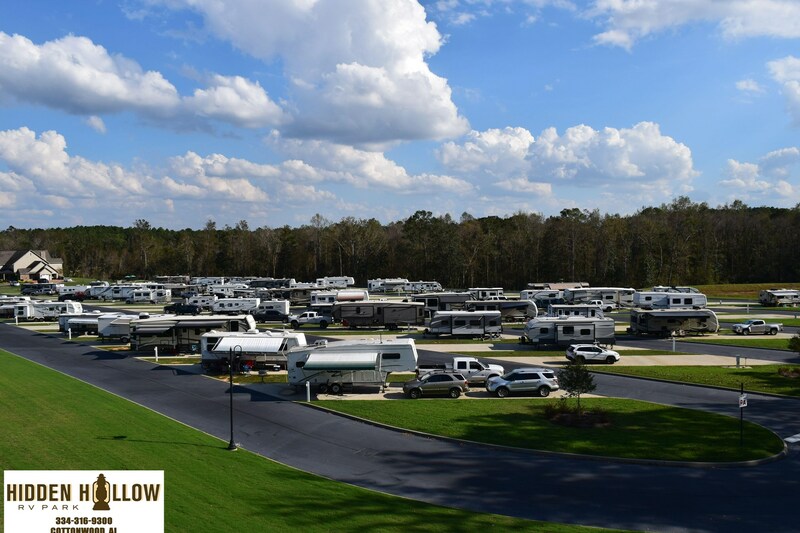 Enjoy a charming southern camp away from it all, grilling on charcoal grills, relaxing in the picnic area, or simply streaming entertainment at your RV.